Please note: In June 2017 we updated our journal submission software and hope that it operates as expected. Please let us know if you discover any problems with it. See our publication ethics and malpractice statement here. LD&C uses the Open Journal System to manage the submission and review of its content. There are no deadlines for submission as each article is placed into the queue after it is accepted. Please go to the following site to create a user account and to upload your submission: http://nflrc.hawaii.edu/ojs/index.php/ldc/about/submissions#onlineSubmissions. Please be careful to select your role as ‘author’ in your initial registration. We strongly encourage authors to have and to use their ORCID identifier in their submission. Is there a page length for articles? As LD&C is an online journal there is no strict limit on page length for articles. However, we do ask that you ensure your article is readable and that you keep the reader’s patience in mind when considering the length of your article. An article of 10,000 words is probably too long. What is the preferred file format for submissions? LD&C accepts manuscripts in electronic form only. Files should be formatted in one of these three formats: Rich Text Format (.rtf), Microsoft Word (.docx), or OpenDocument Text (.odt). The font should be Times 12 pt except for special symbols. All characters MUST be Unicode. In addition to the required .rtf, .doc, or .odt,, submission of a .pdf version of the manuscript, with fonts embedded and tables and figures in place, is encouraged. Please submit high resolution versions of images as separate files, clearly named to indicate where they belong in the article. May I submit audio and video files that complement my text? LD&C welcomes audio and video clips that enhance the quality of a manuscript. Before you submit your files, please note the following guidelines. Please use a common format. We recommend WAV for audio, and MPEG for video (we can then convert them to compressed formats for delivery). Please name the files to reflect the order they appear in the article. Please clearly mark in the manuscript where each file should be inserted: e.g., [sound01.wav]. In the final manuscript, these markings will be replaced with appropriate icons. Please submit the files as a single ZIP file if possible. The maximum attachment size for our e-mail account is 20MB. If your files exceed this limit, please send them in one of the following ways. If there are many files (over twenty), we may ask the author(s) to assist in adding links to the PDF version. DO NOT use automated section numbering in your document. How should a manuscript be prepared for initial submission? As of Volume 11 of LD&C (2017), authors submitting manuscripts should follow the Generic Style Rules for linguistic publications and the LD&C Style Sheet. LD&C formerly used the Unified Style Sheet for Linguistics. Authors are also expected to include a brief (no more than 200-word) abstract with their submission. Manuscripts should be anonymised, please do not include author name(s) or email addresses, and make sure that the document properties do not include the author’s name. A Citation Style Language (CSL) template for use in Zotero or similar tools can be found here. A very useful guide to using CSL can be found here. What are LD&C‘s style conventions for published articles? Language Documentation & Conservation editorial style follows The Chicago manual of style, 16th edition (Chicago: University of Chicago Press, 2003) and the Generic Style Rules for linguistics. What review process is used for articles? Articles are double-blind reviewed. We follow the principles in the Golden Rule of Reviewing: “review for others as you would have others review for you”. Who holds the copyrights for articles published in LD&C? The copyrights for all articles published by LD&C are held by their respective authors. What is LD&C‘s policy with regard to Creative Commons Licenses? LD&C has joined an emerging group of scholarly publications that free up their work for scholarly use by means of Creative Commons licenses. 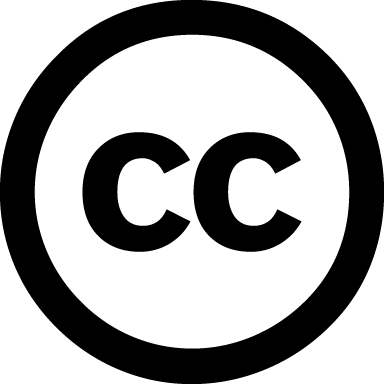 All papers published by Language Documentation & Conservation are made available through a Creative Commons Attribution 4.0 International License (described in plain English at https://creativecommons.org/licenses/by/4.0 (and authors are able to specify more precise license terms provided by the Creative Commons framework). These licenses enable the legal sharing and reuse of cultural, educational, and scientific works and have been adopted by a growing number of scientists and scholars. Applying one of these standard licenses to your work will provide strong legal protection both to you and those wishing to use your work and will thus ensure your right to make your work freely and openly available. When submitting an article, authors are asked to indicate their agreement to abide by one of the above licenses. Please read about them before submitting your paper. Manuscript revision should be carried out within a reasonable timeframe. Manuscripts that are not resubmitted within a year will be considered to be new submissions. If an author has been asked to resubmit an article then that article will be put back through the normal peer-review process. Resubmissions can be posted to the same website as the original submission (see above), at the ‘Upload Author Version’ prompt. A Special Publication is produced by its editors, who do all the work, from content review through to page layout. A well-made pdf file is the target and how you produce it is up to you, following our guidelines (some versions have been done in InDesign, some in LaTeX). We provide the means to publish in a persistent form using a D-Space repository with Handles for each chapter and for the whole work. See, for example, SP04 (2012) or SP05 (2012). LD&C reserves the right to reject a publication if it does not meet our editorial standards. If you are interested in producing a Special Publication please send a proposal to the Editor for consideration. Can anybody submit a book review? No. LD&C publishes only solicited book reviews. Can anybody submit a technology review? LD&C publishes both solicited and unsolicited technology reviews, which appear alongside full-length technology-related articles in our Technology section. Can anybody submit a collection review? LD&C publishes both solicited and unsolicited collection reviews. Where should I send books or technology for review? For reviews of free software that is available online, please send the download location (URL) to ldc@hawaii.edu.